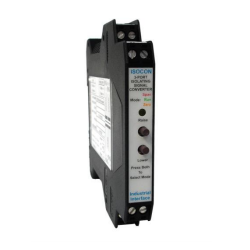 This ratiometric millivolt input to measurement output converter provides a way to determine the measurement output reading and millivolt input range from a ratiometric millivolt input signal with a specified millivolt per volt span sensitivity, zero offset and supply voltage. A conversion scale graphic for each ratiometric millivolt input range and measurement output range combination entered is also displayed underneath the calculated values. This is the millivolt input reading that you intend to convert to a measurement output value based on a specified output scaling.expected ideal ratiometric mV/V signal sensing device output in millivolts for the measured quantity specified. This is the excitation voltage used to power the ratiometric mV/V signal sensing device generating the millivolt input signal. The millivolt output of a ratiometric mV/V signal generating device is linearly proportional to the excitation voltage. This is the full span input per supply volt characteristic for the ratiometric mV/V signal generating device. This is the null input value of the ratiometric mV/V signal generating device, powered by the specified supply voltage. This the maximum millivolt input for the ratiometric mV/V signal generating device, powered by the specified supply voltage. Enter the maximum value possible to define the measurement output scale used in calculating the measurement output value. This is the measurement output value converted from the entered millivolt input signal parameters. Send us your enquiry for a product associated with this Ratiometric mV/V Millivolt per Volt Range Input Scaling Converter page, and get assistance with selecting a product for your application.